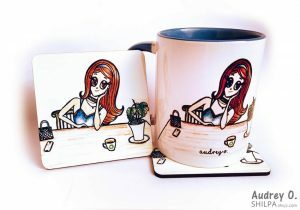 Stylish, vibrant & trendy – Audrey O. coffee mugs are printed with beautiful artwork by Shilpa Ahuja. Support our team with and your fave comic strip by purchasing one (or all) of these! These beautiful mugs are sure to brighten up your tea/coffee time everyday. 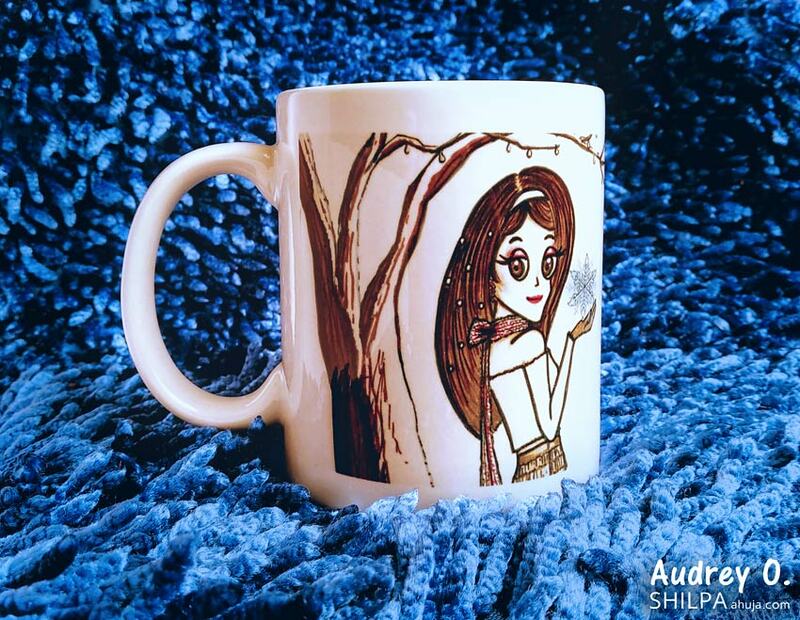 Our coffee mugs are available in three themes – relaxation, cozy and inspirational. Can’t view the order form? Click here. For any queries, please contact our Customer Care. Mugs reach in 2-4 days. Available in India. Each mug is ₹349-399 (see below in details). Payment through Paypal, NEFT, RTGS. 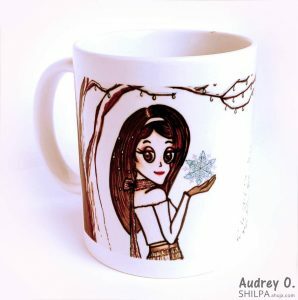 Each mug features a hand-drawn sketch of your favorite cartoon character – Audrey O. by Shilpa Ahuja. 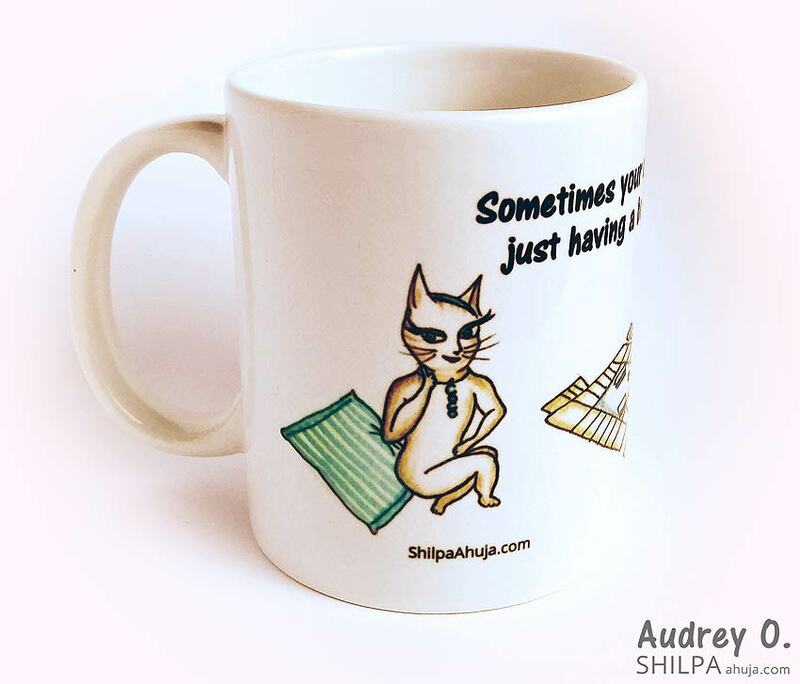 Mugs can be shipped online in India, and ship within 2-4 days, and are available in best prices. These designer, funky coffee mugs online are perfect for your morning coffee table or your office desk, as they are great conversation starters! Colors may be slightly different than those shown in the pictures. We tried our best, but every light and camera captures colors differently. What better way to celebrate winter season than with a cup of hot cocoa. 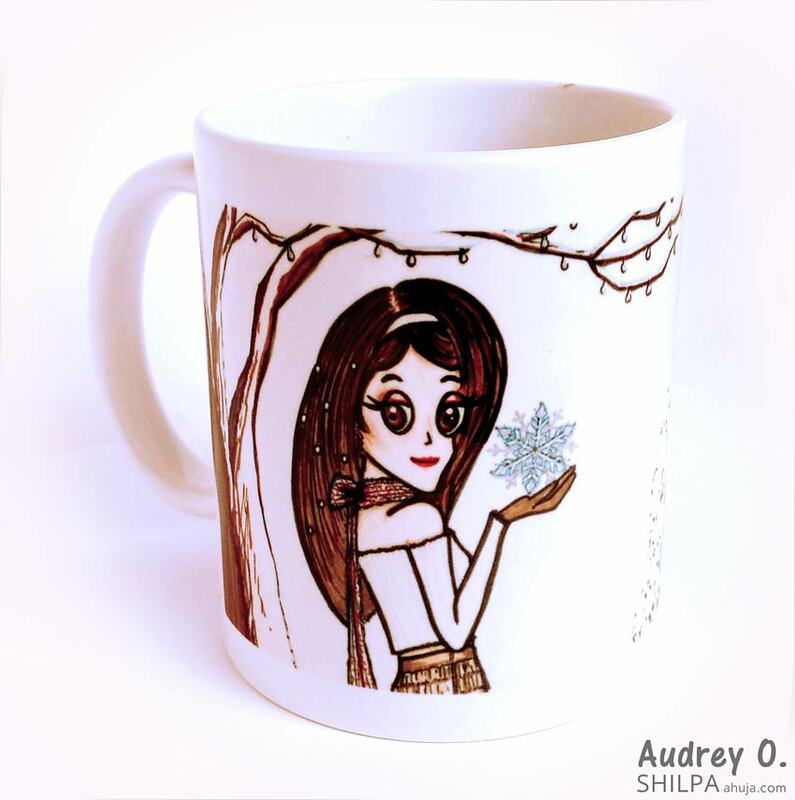 This beautiful design features Audrey O. in a chic outfit, with crystal-studded hair. Standing in the Winter Wonderland, Audrey has found the biggest snowflake ever. And this cozy design signifies that we all are just like snowflakes – unique but beautiful in our own way. Read more & view specs. 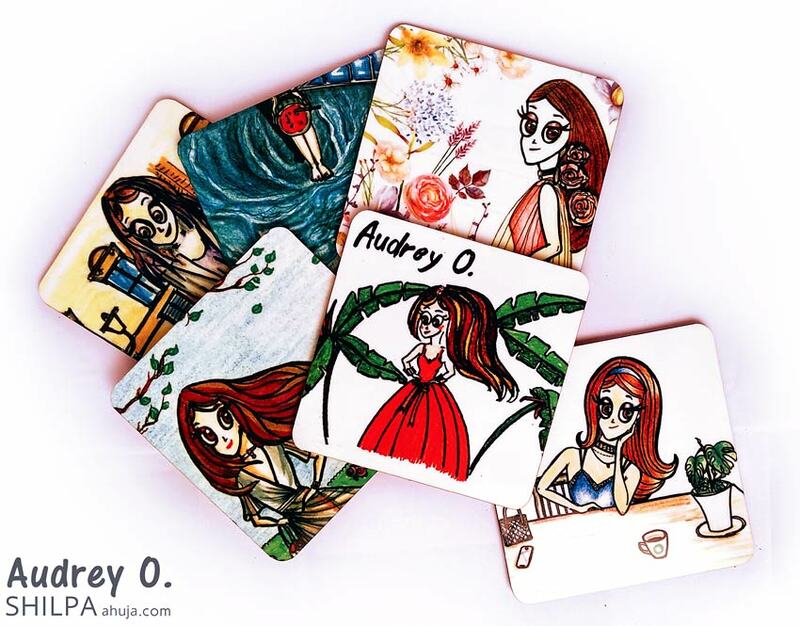 Funny with a deep inspirational meaning – just like Audrey O. comics! This design has Coco playing a board game (can you guess which one?) with Audrey. And no points for guessing who’s winning! So if you’re having a day of self-doubt, take some time out and have a cup of tea in this mug. And you’ll realize that not all days are winners, but we gotta keep going on! Retro inspired, Audrey O.’s style is from the pre-internet era. The era when everything used to be slower, less anxiety-inducing. And that’s why this relaxation themed mug is perfect for those who like their coffee time to be peaceful me-time. The design features with the original Shilpa Ahuja quote, “Pause life before it runs by you,” on the backside. Coasters to be bought separately. Please find their details and order them here.